It doesn’t feel like this tech is getting better, but maybe I just need some time away to think about it. I have never been a huge fan of virtual keyboards. I don’t like typing with my thumbs due largely to the lack of tactile feedback, which hasn’t really become better over time because vibration motors on Android phones still aren’t great. I jumped onto the Swype train early, fully ready to trace-type my way to freedom. This form of typing is faster, so longer sentences aren’t as tedious for me to write on my phone. But it feels like trace-typing progress has slowed in the last year or two. 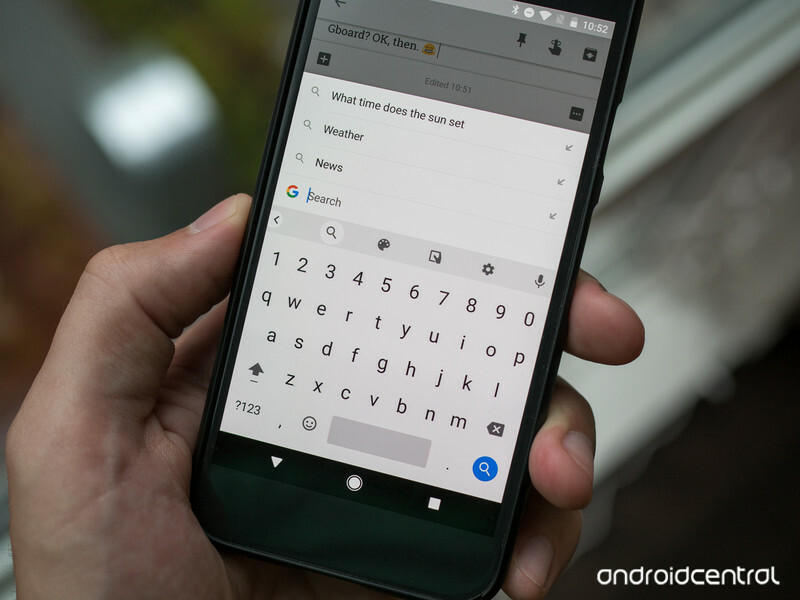 Sometimes it feels like Gboard is less accurate in some updates, so I try another keyboard app for a while until it frustrates me and then I go back to Gboard. I haven’t felt like these keyboards have improved much recently, and as my list of obvious typos continues to grow I find myself wondering if I should go back to a physical keyboard. I see folks complain about virtual keyboards a lot. My immediate circle of friends and family use Gboard’s excellent voice dictation way more often than they used to, and when I ask them why they made the change I get the same answer: voice typing is improving faster than autocorrect. It means they can more safely respond to messages in the car, or while working with both hands, and generally speaking, voice typing is one of those things that can easily become a habit when it works the way you want it to. I’m not one of those people, mostly because I’m frequently around people I don’t want to broadcast my personal messages to, but the evolution of voice typing over trace typing is incredibly clear right now. 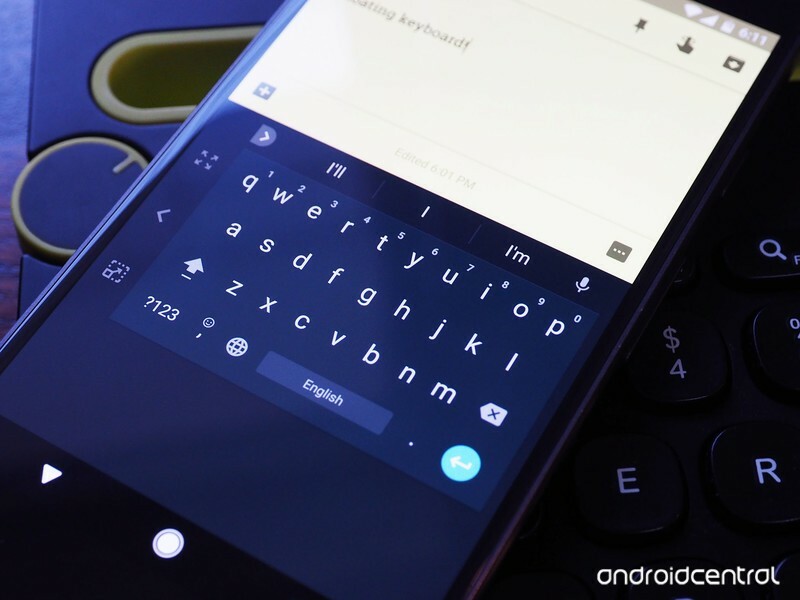 The last phone keyboard I really enjoyed using was the one on the BlackBerry Priv. The keyboard tucked away so I could use a virtual keyboard for quick messages, but if I wanted to type something of length, the keyboard was there for me. It was more than just physical buttons, too. I liked having long-press shortcuts and the ability to swipe around on the keys like a trackpad in a block of text. The quality of that keyboard was almost enough to make me want the BlackBerry KeyOne when it was first announced, but I skipped it and went with a phone that offered VR and AR capabilities. As the mobile VR industry switches to standalone headsets like Oculus Go, and the BlackBerry KeyTwo (Sorry, BlackBerry, you don’t get to switch between spelling numbers and using numerals. This phone is called KeyTwo now) set to be announced soon, it may be time to make a switch. It’s clear right now the smartphone industry is in the middle of a massive change. Phones are getting taller and thinner, with greater emphasis on no bezels and improved haptics. But we’re not there yet, and this coming year is going to be full of companies trying to figure out how to deal with “the notch” and how users are going to respond to different display mechics. In effect, people getting new phones over the next year or so are going to be treated more like voluntary lab rats than ever before and that’s not really what I want from a phone. 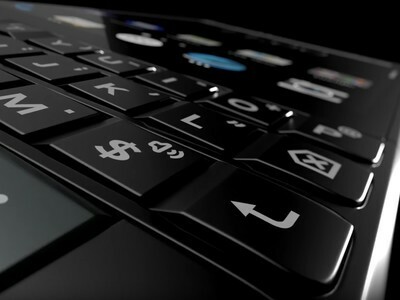 I know exactly what I’m getting with a phone like the BlackBerry KeyTwo, including a keyboard I’m not going to hate. It’s not the flashiest phone in the world, but it’s a comfortable experience I can rely on for a while. I kinda dig that idea.